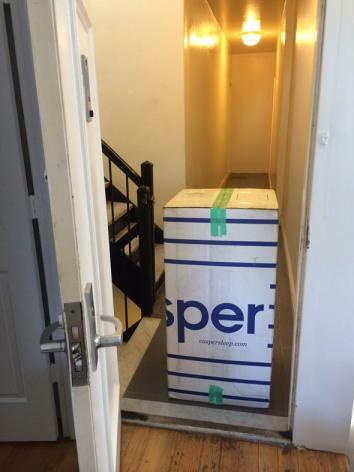 Foam mattress startup Casper has one density option and delivers in a box. 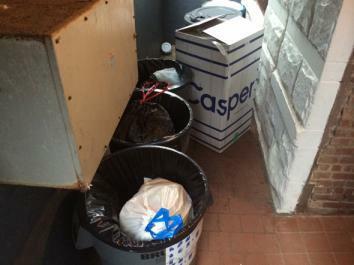 A freshly unfurled Casper mattress. Shopping for a mattress in a depressing showroom while salespeople breathe down your neck is no fun. But shopping for a mattress on a well-designed website with clear, almost modular options—that sounds a lot like something millennials would do, and then tweet about. And that’s exactly what mattress startup Casper is offering. 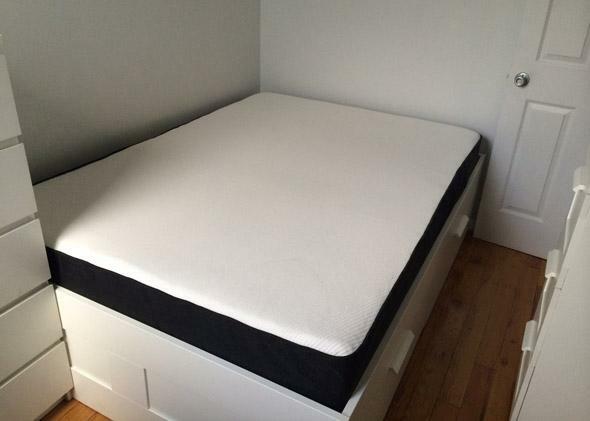 Casper sells foam mattresses that fuse 1.5 inches of dunlop latex foam, 1.5-inches of 4-lb. density memory foam, and 7-inches of base polyurethane support foam. The website emphasizes that the foams are poured in the U.S. and that the mattresses are assembled at a factory in Atlanta. The marketing is all about giving the company a boutique, community-conscious feel, and is similar to the approach used by the likes of Warby Parker and Blue Apron, which also target twenty- and thirtysomethings. Casper’s prices seem aimed at young professionals, too. The mattresses have a 40-day return policy, a 10-year warranty, and range from $500 for a twin to $950 for a California king. The company’s financial success—one of the company’s new investors is Ashton Kutcher’s firm A-Grade Investments, so Casper is clearly the mattress of the stars—indicates that consumers are interested in an easier, Web-friendly approach to their fabric cases. It’s still early days, but in theory it seems like taking out middlemen, salespeople working on commission, and confusing marketing jargon could radically change the U.S.’s $13 billion mattress industry. Getting rid of the Casper box.